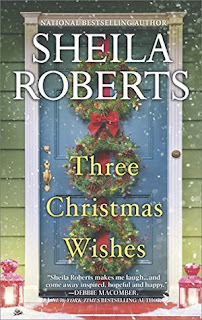 Sheila has done it again and hit it out of the park with this book. I enjoyed the relationship between Jo, Riley and Noel. 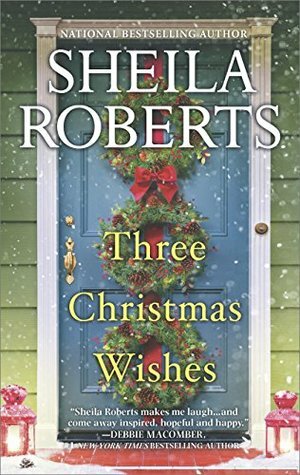 You have to feel bad for Riley when her fiance dumps her for her bridesmaid just weeks before the wedding and Christmas. Jo was also going through many emotions as her husband was deployed and she was having a baby. Then we have Noel a budding writer who is also looking for love. I loved watching Noel and Ben. I liked when the girls went to the mall for some shopping and to have their picture taken with Santa. Then Santa guesses what they want for Christmas and starts predicting what is going to happen to the girls. You must read the book to find out if want Santa predicts really happens. This is a book I could not put down and read in two days. It was the perfect distraction for me from the stress I have had this week. I have not read a bad book by Sheila yet. She has a way of making her characters seem to come alive off the page and you feel as if you are right there with them as you are reading the story. I am looking forward to her next book.